Happy Sunday everyone! 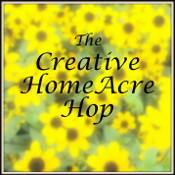 Welcome to the Creative HomeAcre Blog Hop! Thank you so much for stopping by to link up your creative home posts or to have a look at all the great posts that are shared. That means that when you link up your posts each week, they will be viewed by even more people! Each host will be sharing her own picks for Featured Bloggers. 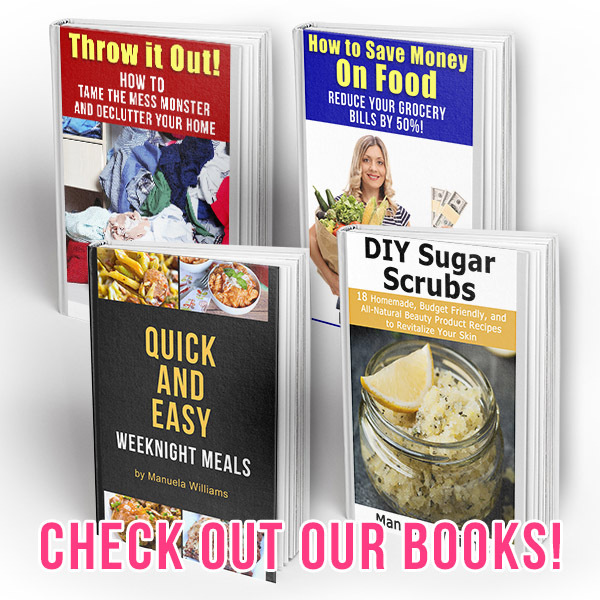 This gives everyone a better chance of being featured and increases your exposure to new readers. Be sure to check all of our blogs to see if you were featured! 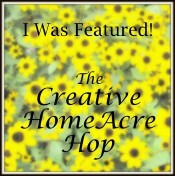 If you would like to be featured, be sure to link back to the hop! A big thank you to everyone that stopped by last week to share their wonderful projects, gardens, decor, tips, recipes, and more! You guys are amazing! I enjoyed looking at your posts and visiting you. Here are two of my favorites posts from last weeks party. I’ll also be sharing these on my Creative HomeAcre pinterest board. 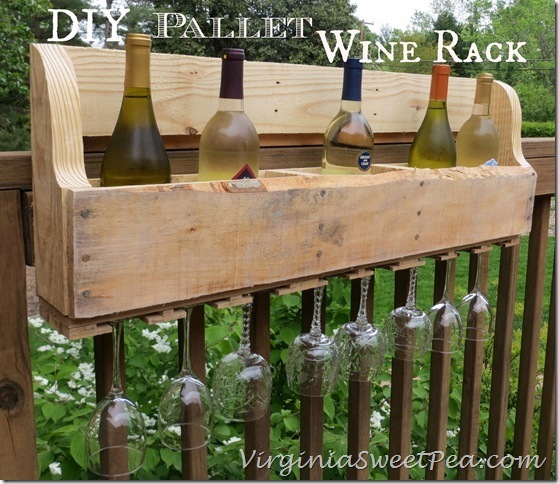 Paula @ Virginia Sweet Pea upcycled a pallet into this amazing wine rack! Elisha @ Sufficient Grace shared all the wonderful vintage goodies she’s been able to find thrifting lately. You have to go see the amazing vintage bird book she found! Grab the button if you were featured! Now, on to your latest creations! 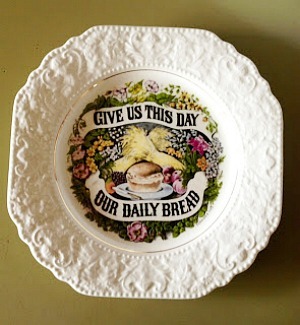 Share your Creative Home posts featuring home decor, home cooking, eco-friendly crafts, your gardens, vintage finds, thrifty tips, objects d’ art, fiber arts and sewing, farm girl fashion, food preservation, photography, creative writing, and gardening helpers, hand made ‘wholesomeness’, and good ol’ fashioned homemaking news. If you have a creative side, we’d love to see what you’ve been working on! 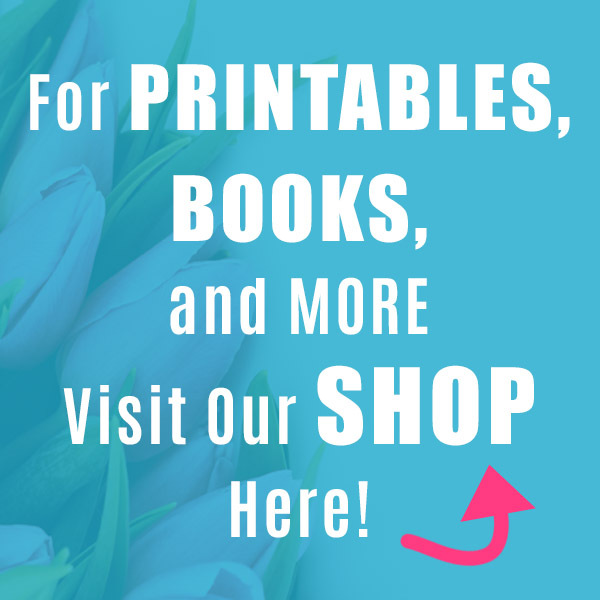 Etsy sellers are welcome to share here too. Please link back to the hop in your post. If you don’t take a couple of seconds to do this, you won’t be featured. There’s a button you can use or a text link somewhere in your post is fine too. Thanks for sharing the hop with others! Please go visit as many of the other bloggers posting as you can! The whole point of a hop is to build a community of like minded bloggers who share and support each other. We all love to hear from our visitors, so please leave thoughtful and kind comments when you visit! 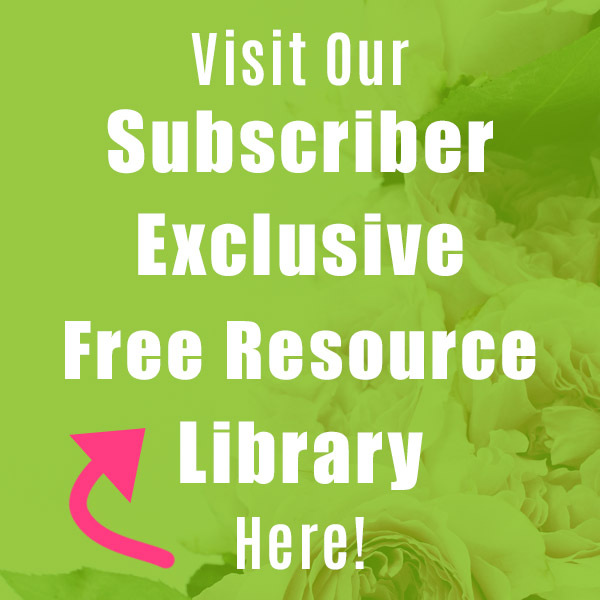 You are welcome to link your archived posts here, as long as all of the content you share is your own. Link your posts once. Please do not link the same post you linked last week! Let’s keep it fresh and fun! By linking your posts here you are agreeing to let us share your post and images on social media and our blogs.Happy hopping! 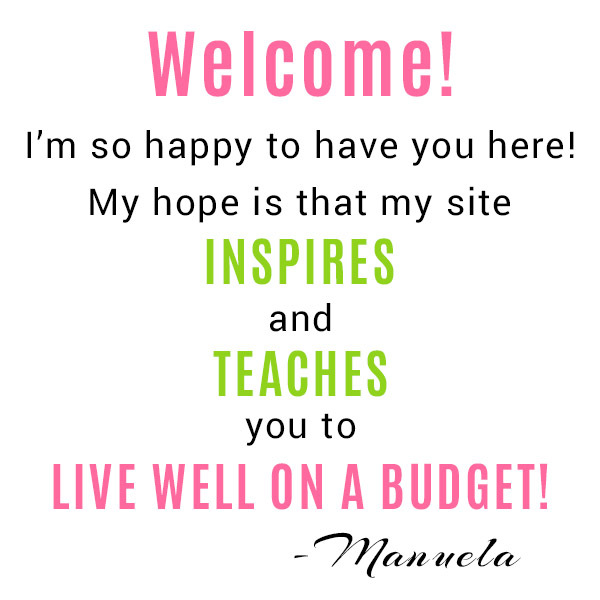 Thank you so much for co-hosting such a lovely linky party, Manuela!! Hope you have a wonderful week. Hi Manuela! Looks like a fun party! Thank you so much for popping in to see me and I hope you’re doing well.